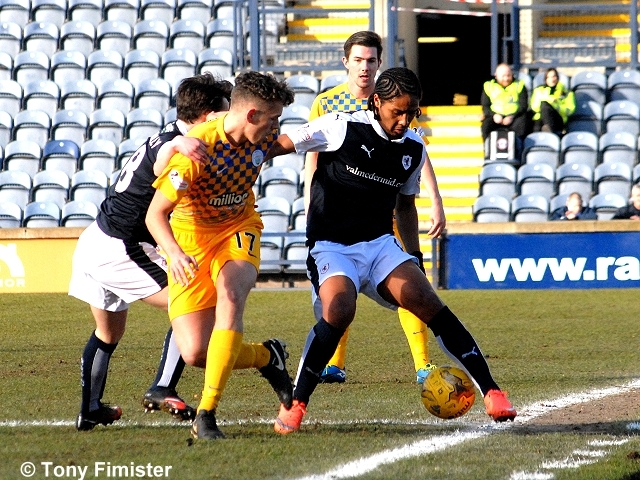 Raith Rovers made it three consecutive league wins against Morton this season when they edged out the Cappielow club 3-2 in a highly entertaining and absorbing Championship clash at Stark’s Park this afternoon. Following a testing few weeks at the turn of the year, including a worryingly barren run in front of goal, Rovers appear to have rekindled their acquaintance with the net again, and for all the faithful won’t be counting their chickens just yet, recent results suggest that the play-offs are a real possibility for the club come the end of the season. Whatever the case, there can be little doubt that today’s win was hugely important in the sense that it was plundered against a side that played industriously from start to finish, on the back of an admittedly surprising but morale-boosting 3-0 midweek romp against high-flying Hibernian. Rovers made one change from the side that saw off Livingston last week, with the returning Lewis Toshney replacing Craig Barr in central defence. If the weather was conducive to good football – an unfashionably clear blue sky and not a breath of wind – both sides opened the contest in a manner that suggested a good game was indeed on the cards, as they moved the ball around freely and with no little ambition. 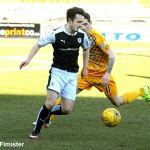 Morton may have tried their luck first with a speculative effort by Declan McManus that flew well over the bar, but Rovers quickly responded with a typically surging run for the by-line by Jason Thomson, although the captain’s inviting cutback evaded his team-mates. The full-back tried his luck again barely a minute later, but his searching cross narrowly missed the head of the lurking Harry Panayiotou. 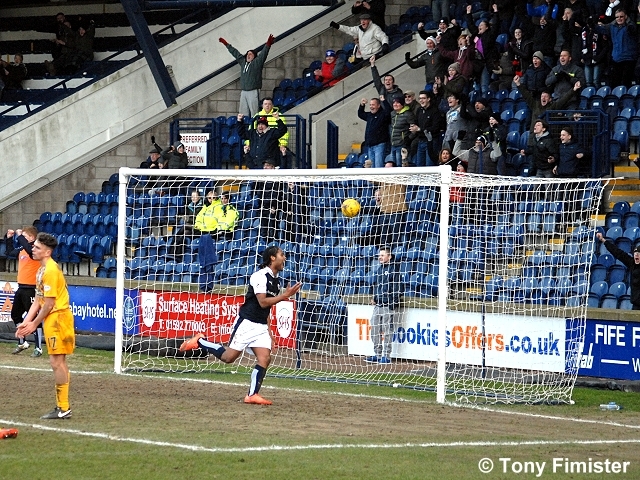 Moments later, with barely ten minutes played, Rovers took the lead with a quite genuinely breathtaking goal. 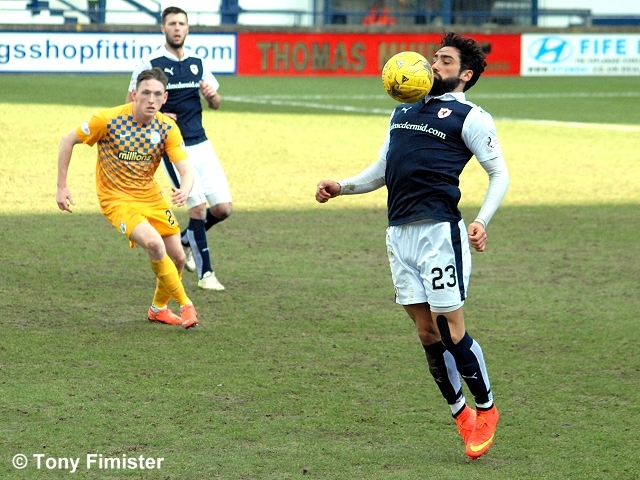 An array of neat passes down the left flank posed danger to Morton, although the ball appeared to have been cleared when it fell to Rory McKeown. 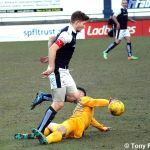 However, the left-back quickly took control of the ball, strode forward, and from fully thirty yards lashed a ferocious shot high into the net beyond Morton keeper Derek Gaston. Rovers fans, on their feet to acclaim the goal, would have been forgiven for momentarily thinking back to the days when Craig Brewster was in his pomp, such was the sheer audacity and quality of the shot. Not that anyone within the ground had the chance to wallow in nostalgia for too long, however, as the visitors immediately sought parity with a number of raids deep into Rovers territory, and several corners were pinged into the heart of the box, causing a fair degree of panic and desperate defending. 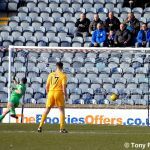 Rovers were camped deep within their own half as Morton moved the ball around quickly and confidently, although Mark Stewart did his level best to respond when he latched on to a loose ball only to be thwarted by a lunging clearance by Gaston. A floated cross from Aidan Connolly then fell invitingly at the feet of Panayiotou, but the on-loan Leicester forward screwed his shot wide of the target. 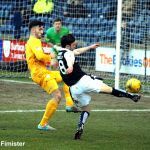 A misplaced pass from Scott Robertson then exposed his defence to an audacious chip by Denny Johnstone, but Kevin Cuthbert gathered the effort with ease. 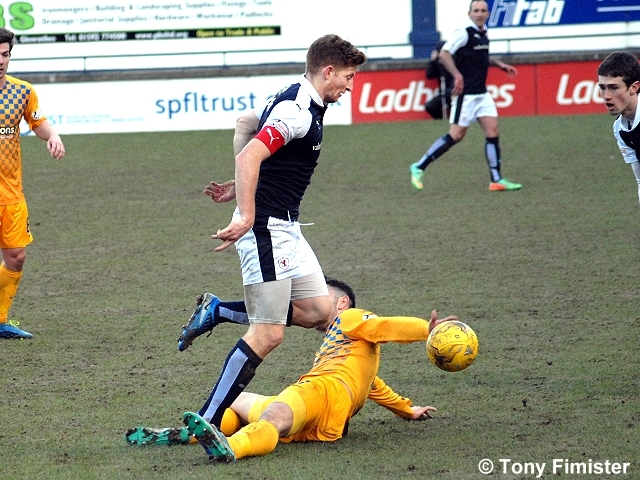 As the visitors pressed, Lewis Toshney was sufficiently aggrieved by the robust tactics of Morton forwards Stefan McLuskey and Declan McManus to make his feelings clear to referee Northcroft, although the official appeared unmoved by the defender’s protestations. 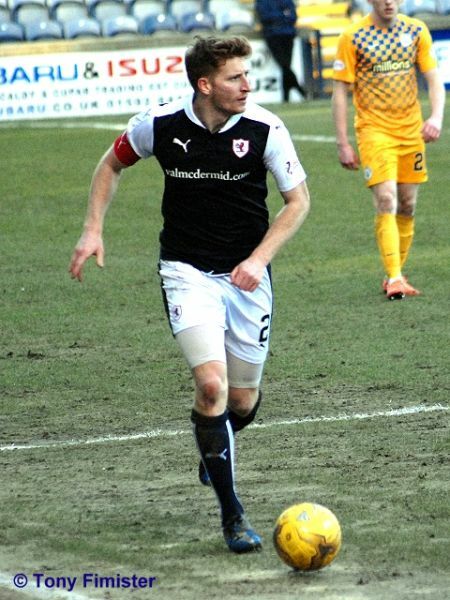 As Morton continued to offer a significant threat with aerial balls arched into the Rovers defence, it appeared to those of a home persuasion that the away side’s forwards were frequently jumping into their opponents as opposed to seeking to win the ball, and when the referee did finally blow for a foul against Johnstone for a clear foul on Iain Davidson as the players vied for a floated cross, the ironic cheers reverberating noisily around the south stand could not have been lost on the official. 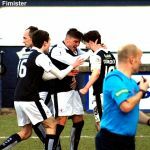 Rovers almost doubled their advantage on the stroke of half-tine with a lightening break out of defence, Stewart’s initial feed finding Callachan, and the midfielder’s quick pass played the ever-willing Connolly into a promising position just outside the Morton penalty area. However, the little winger’s shot lacked sufficient pace to trouble Gaston, who gathered comfortably. 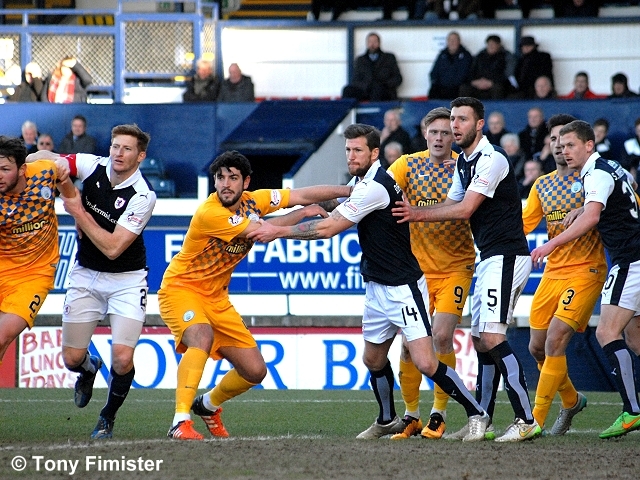 As could have been predicted, Morton sprang from the traps in the second period, pinning the home side back with tidy possession play, and McManus’s overly zealous disagreement with the referee’s decision to penalise him for a clear push on Thomson as the Rovers captain ushered the ball out for a goal kick spoke volumes for the visitors’ determination to regain a foothold in the contest. 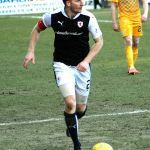 The Morton player earned the game’s first yellow card for his troubles. 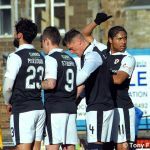 The match ebbed and flowed from one end to the other at pace, as the two evenly matched sides sensed an opportunity to stake a claim for a play-off berth. 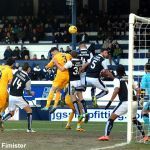 A whipped McKeown cross caused consternation within the Morton defence before being booted to safety, before Johnstone did likewise on behalf of the visitors, although the striker’s cross was too high for his fellow strikers. 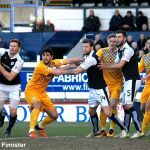 Thomas O’Ware could then count himself very fortunate to escape without a caution when he crudely clattered into Panayiotou from behind, although Rovers almost took advantage of this from the resultant free-kick. A floated cross was only cleared as far as the lurking Scott Robertson, and the Rovers midfielders’s low, raking drive from the edge of the box seemed destined for the corner of the net before Gaston’s dive diverted the ball away for a corner. Joe McKee was less fortunate than O’Ware, deservedly finding his name in the referee’s book for a late trip on Robertson, although on the hour mark Rovers keeper Kevin Cuthbert was called into action with a fine save from Johnstone’s swerving shot. 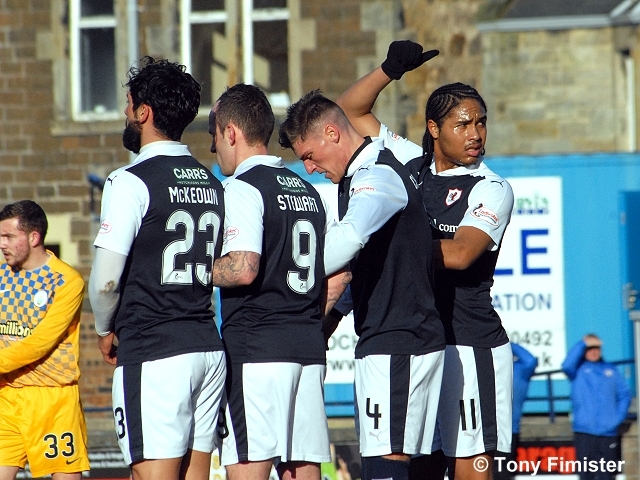 James Craigen, who had drifted in and out of the game, came close with a free-kick that was touched over the bar by Gaston, before he was replaced by Ryan Hardie. Another new signing, Aiden Connolly, was growing in stature and influence as the game wore on, and he set up Roberston with an astute cross, although the midfielder’s shot lacked conviction and drifted well wide of the target. 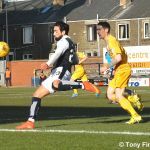 Rovers continued to push as the match entered its final quarter, and good work between Hardie, Thomson and Connolly down the right side created space, with Connolly’s shot comfortably clutched underneath his crossbar by the Morton keeper. With ten minutes remaining of an intriguing match, Connolly limped off to be replaced by Grant Anderson. 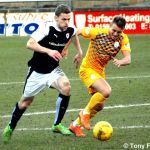 A double substitution saw Mark Stewart make way for Ryan McCord, as Ray McKinnon sought to shore up the middle of the park. McCord made an immediate impression, earning a caution for a tackle on McKee. 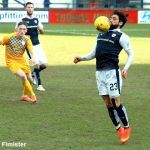 It seemed that Rovers would have to settle for a draw, but one last incursion into the Morton box brought a winner as the game entered the 90th minute. 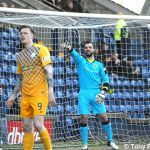 Various Morton defenders attempted to halt Ryan Hardie’s run, but the young striker showed sufficient tenacity and strength to shrug aside his opponents before prodding the ball home to the lusty acclaim of the home fans assembled behind the goal. 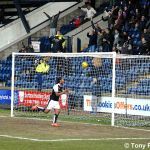 From then it seemed an age before the final whistle sounded, but when it came a deserved victory from a thrilling match was keenly celebrated by the Rovers fans. 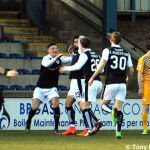 With a busy schedule of fixtures to come in March – starting with a midweek trip to league leaders Rangers before St Mirren travel to Kirkcaldy next Saturday – Rovers have established momentum and a return to goal scoring form which augurs well for the remaining games. Welcome to Starks Park for today's championship match against Morton. 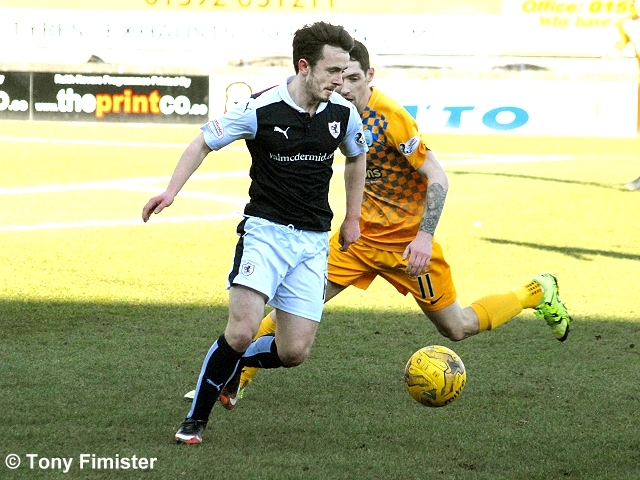 The rovers will also be looking for consecutive home victories after last week's 2-0 result against Livingston. 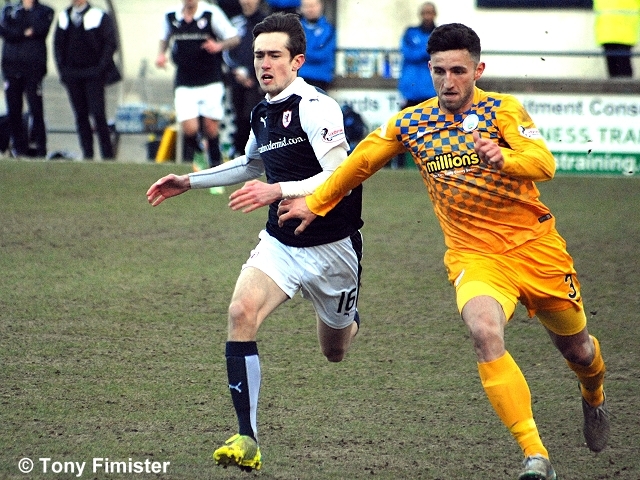 Morton come to Starks Park full of confidence after a midweek 3-0 victory away to Hibernian. The rovers will be hoping to make it 3 wins out of 3 against today's visitors. Former rovers goalkeeper Andy McNeil makes the bench for today's visitors. Morton kick off towards the south stand. The sun may be shinning but it's bitterly cold! McManus with a speculative half volley from outside the box, goes high and wide to Cuthbert's goal. GOAL and what a strike from Mckeown, hitting it sweetly on the half volley from what looked like around 30 yards! 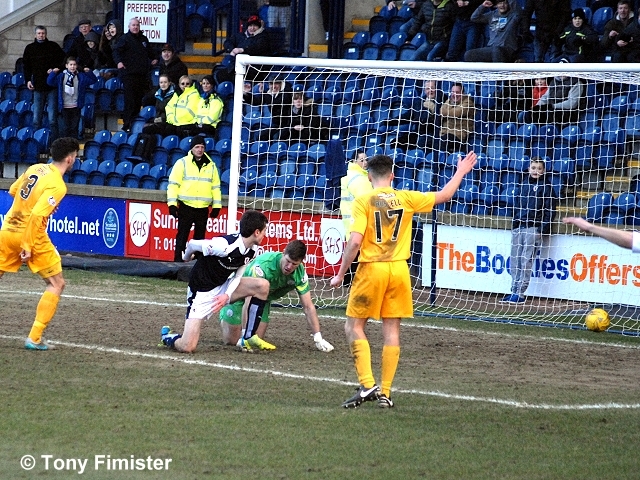 I was about to say that the rovers were enjoying the majority of the play without much going forward... What a strike! 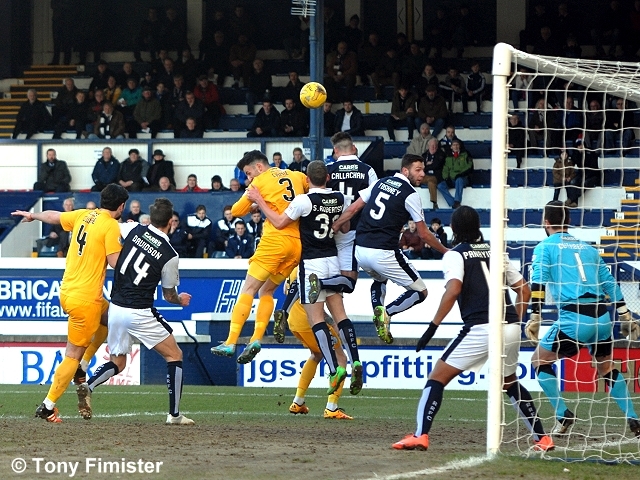 An in-swinging Morton corner is headed clear by Callachan. The second corner is eventually gathered by Cuthbert. Free kick Morton 25 yards from goal. Deflected for a corner, first corner cleared by Callachen. The second goes dangerously close but eventually runs out for a goal kick. Another free kick for Morton. Headed clear again by that man Callachan! Morton enjoying the majority of the play since the goal. 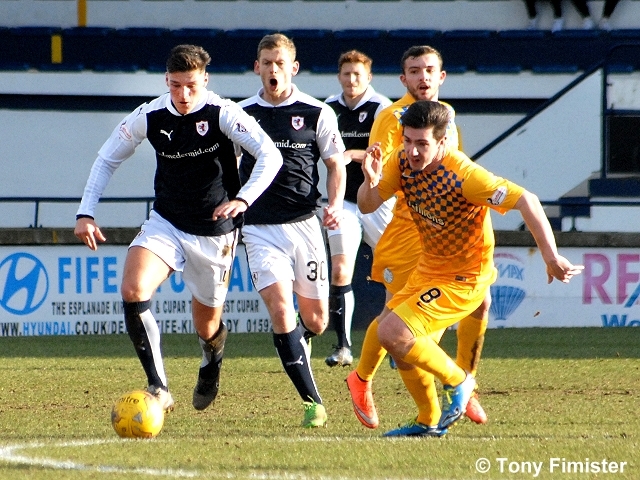 Stewart beats Gaston to the ball but he can't get enough on his effort and the Morton defenders clear their lines. Good play by Craigen, he eventually finds Thomson on the far right but his cross is blocked for a throw in. The rovers are coming more into the game again. 'Harry' with a half volley attempt, he miss-hits and the ball sails harmlessly wide. 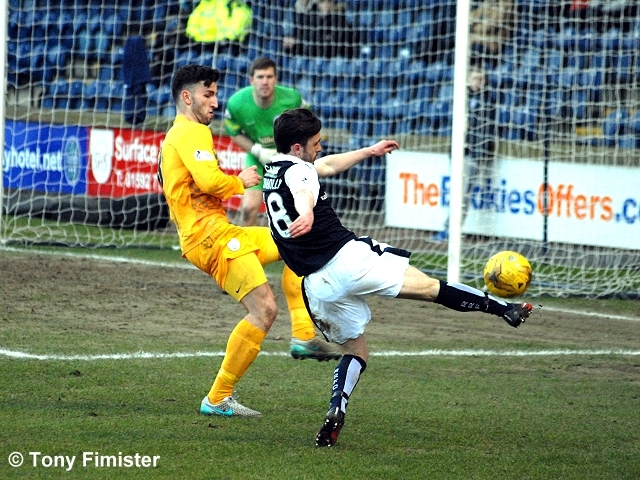 Five fouls have been given against the rovers so far, with Morton having had all of the four corners. The rovers with the only goal so far though. McMullan tries a speculative lob but he doesn't get enough purchase and Cuthbert easily gathers. Mcluskey with a dangerous run into the box but the rovers defenders crowd him out and Cuthbert collects. 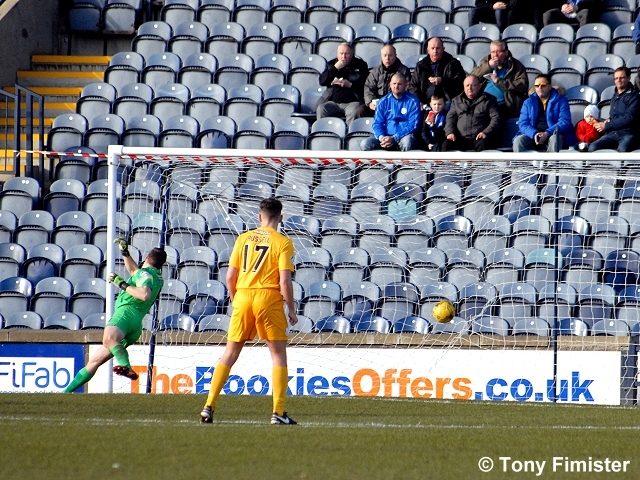 Morton enjoying approximately 60% of the play with four shots to rovers' two. Craigen tries a clever through ball to Connolly but Gaston reads it and collects the loose ball. Booking for Toshney for a late challenge on Mcluskey. Free kick Morton. The free kick is blocked by the wall. The rovers surge upfield with Callachan's effort cleared for a corner. Davidson down after a late challenge. He dusts himself down and is okay to continue. Yet another free kick to Morton, to the disgust of the south stand! Ironic cheers from the home end as a foul is given against today's visitors. Corner to Morton is cleared. Rovers soar upfield, the ball being played to Connolly but his drive is straight at Gaston, who saves comfortably. Courtesy of the BBC, Morton had 53% of the play. 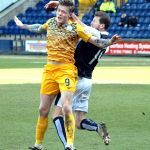 Morton have had 4 shots to Raith's 3. In terms of corners, Morton lead 5-1. 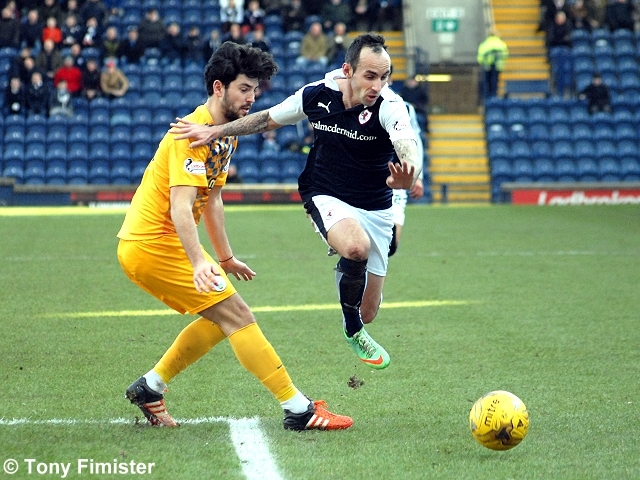 Most important stat at half time though, Raith Rovers 1-0 Morton. The rovers get the second half underway, shooting towards the south stand. McMullan with the first effort in the second half. His effort goes high and wide. A close one there as the ball goes across the rovers six yard box. The rovers eventually clear their lines. McManus booked for a late challenge. A foray upfield from the rovers is eventually halted with a foul given against Callachan. 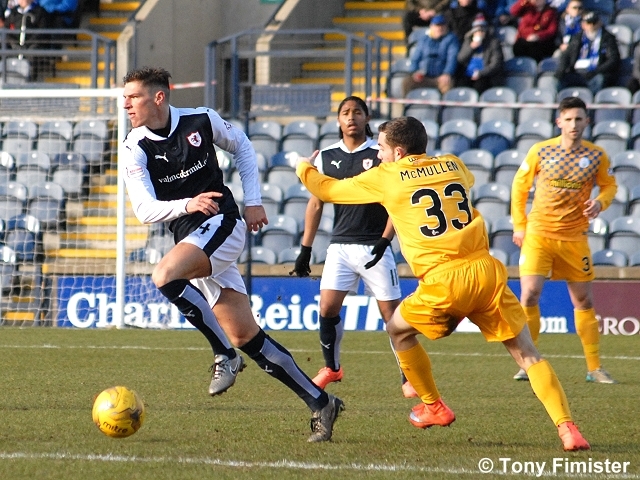 A misplaced pass by Callachan leads to a Morton attack, the cross is too high for McManus. A free header for McManus in the six yard box (I think) it goes well wide. A 'daisy-cutter' from Robertson is excellently saved by Gaston low to his right. Booking for McKee for a late trip on Connolly. A powerful drive from McKee is well saved by Cuthbert. The corner leads to another free header but it sails over for a goal kick. It's end to end stuff here now! Ryan Hardie replaces James Craigen. Thomson lobs the ball through to Connolly but his shot is well wide. The rovers have enjoyed the better of the last 10 minutes. No clear cut chances have been created though. Connolly with a drive, saved and eventually held by Gaston. 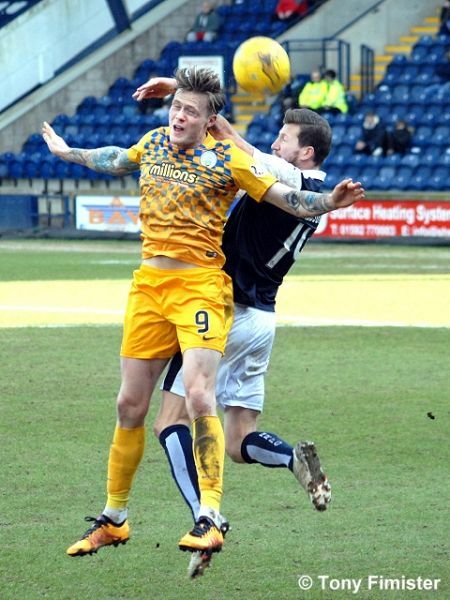 A few misplaced passes aside, Ross Callachan has had an excellent game today. A mix up between Gaston and Kilday and Connolly rolls the ball into the net. A good interception and run by Stewart. Cleared for a corner. 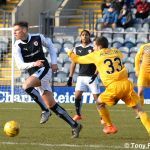 McKeown urged to shoot by the south stand. His effort is saved and held by Gaston. McCord and Anderson replaces Connolly and Stewart. Booking for McCord for a mistimed challenge. 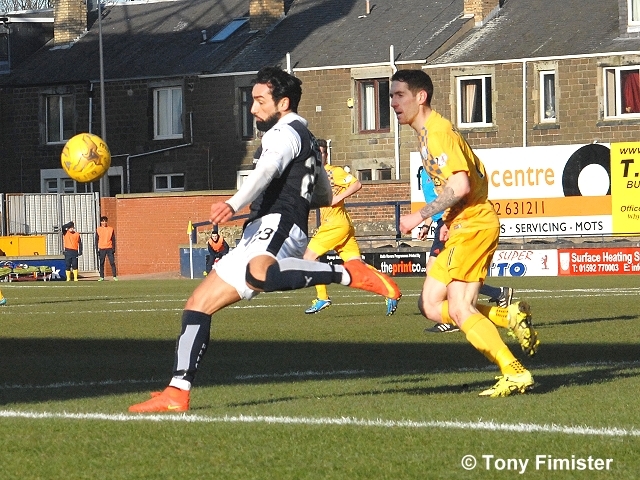 Goal Morton. Goal given to McManus but it was difficult to tell from the south stand. Great run into the box by Hardie, the ball eventually falling back to him and he fires the ball under Gaston. Late corner for Morton. Header high and over. +1 and a late booking for Lamie for a foul on Anderson. +3 booking for Callachan for a late pull. Full time. Great fighting spirit from the rovers today! 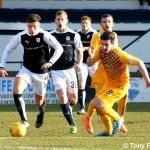 Greenock Morton are the visitors to Stark’s Park this Saturday, fresh from producing one of the results of the season in midweek. Their 3-0 win at Easter Road made Rangers the overwhelming favourites for the Championship title, but more importantly to Jim Duffy’s team, it moved them just one point behind Raith Rovers in the table. 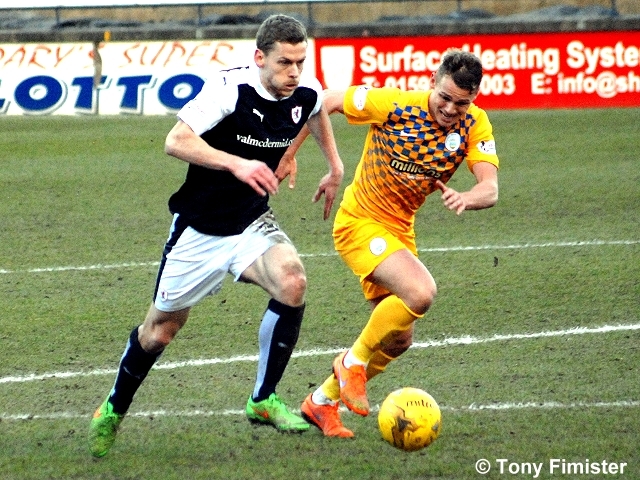 The impressive victory continued Morton’s fine away record this season, with only the the top-three, Rangers, Hibernian and Falkirk having a more impressive record on the road this season. 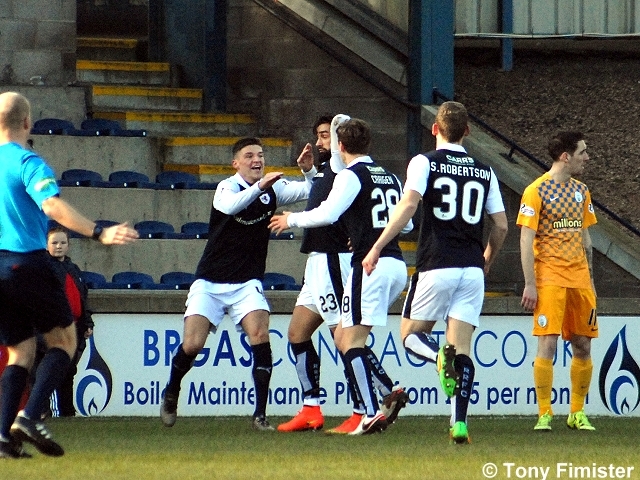 If they’re to sustain that however, they’ll need to overturn a poor recent record at Stark’s Park, and against Rovers in general, with the ‘Ton without a win against Raith in seven attempts, and without a win at Stark’s Park since January 2010. 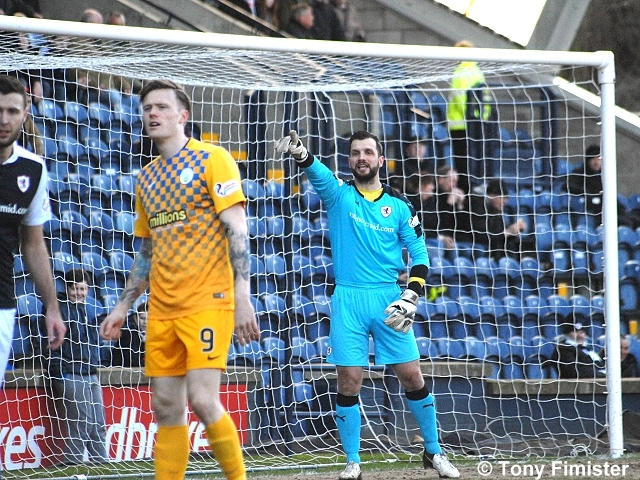 Looking back even further, Morton have registered just two league wins against Rovers in their last 19 attempts. 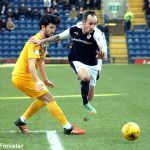 Both of this season’s previous meetings have went right to the wire, with Raith winning both by two goal to one, and both with late goals. 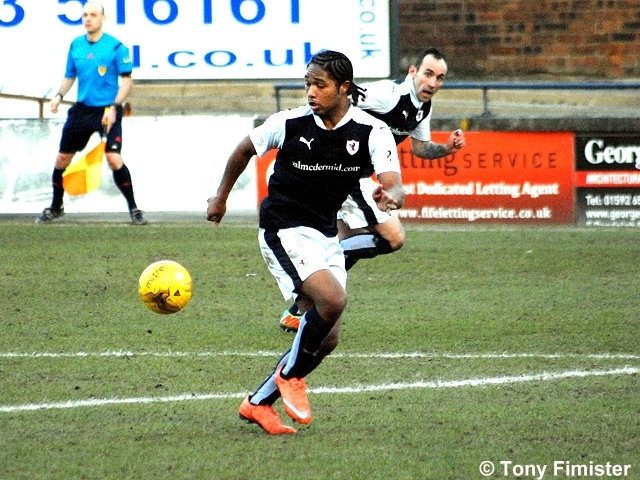 Mark Stewart put Rovers in front just before half-time at Stark’s in October, before Thomas O’Ware appeared to secure a point with an equaliser with eight minutes remaining. 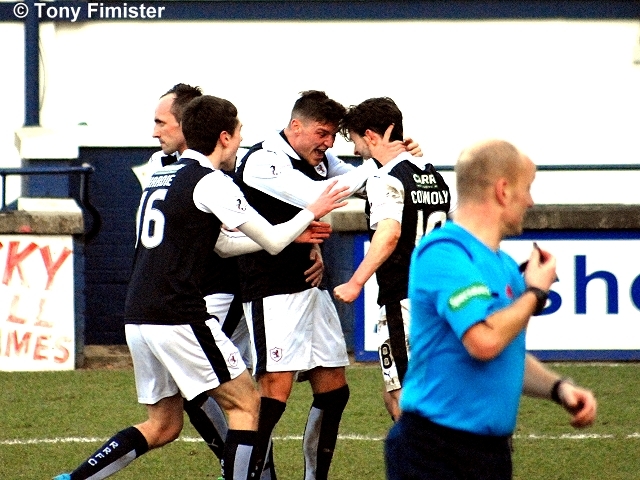 However, Jason Thomson’s winner, four minutes into injury-time sealed a dramatic win. 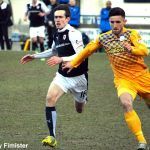 The return match at Cappielow in December saw the away team on the back-foot for much of the first-half, but Morton could only take a one goal lead into the interval, thanks to an Alex Samuel strike. 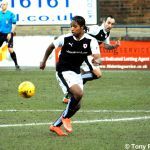 That lead was soon wiped out in the second-period by a deflected Ross Callachan effort, and the comeback was sealed by James Craigen’s penalty as the full-time whistle approached. 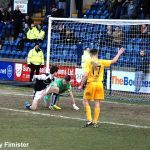 Saturday’s match is the start of a hectic sequence for Rovers, with eight games between now and the end of March, a fixture flurry which will go a long way to deciding who wrests control of the final play-off position. Saturday’s match referee will be Mat Northcroft.